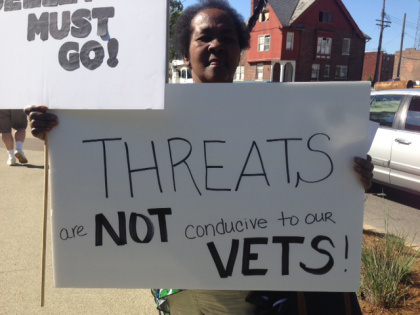 A group of about 100 workers and supporters protested outside the hospital on Wednesday. One of those fired employees, LPN Darlene Nolan, believes management retaliated against her as a whistle-blower. “During my time here I was reporting patient abuse and neglect with other nurses and nursing assistants,” she told WWJ City Beat Reporter Vickie Thomas. A spokesperson for the medical center says leadership has always worked closely with the union and meets with union representatives often to discuss any concerns. She added that they are committed to providing excellent care for their veterans.